We sat down with our very own Meg MacDonald, a Certified Holistic Health Coach, to discuss her wellness journey and her decision to become a health coach. Can you share how you started teaching barre and how you ended up at RISE? Jeannine (Garrick, co-owner of RISE Barre & Fitness) and I have been friends for over 20 years, and were basketball teammates back in high school. We caught up one day over coffee and she invited me to take one of her classes. Just a few months later, she talked me into teaching (it didn’t take much), I completed my training, passed my audition and I was on my way. I’m a barre believer, but even moreso, I’m a RISE Barre believer. I absolutely love the studio, the workout, and most importantly, the incredible community of owners, instructors and clients. I am so, so grateful to be a small part of it all. Did you have a fitness background before you started teaching barre? As an athlete growing up, I was always active. Once I graduated college and “retired” from playing sports, I remained active, bouncing around from running to group exercise to at home workout videos. You name it, I’ve done it. About 6 years ago, I fell in love with yoga, so much so that 2 years ago I completed a 200-Hour Yoga Teacher Training program. I think this quote from Greg Anderson perfectly sums it up, “Wellness is the complete integration of body, mind and spirit — the realization that everything we do, think, feel and believe has an effect on our well-being.” What is most important to understand in my opinion, is that wellness is a state of mind, a continual process, and a lifelong journey. It’s not a destination. What made you decide to pursue your health coaching certification? I have always had a passion for fitness and health or so I thought. I spent many years though chasing the latest fad, trying the latest quick fix, and relying on the scale to tell me how healthy I was, or wasn’t. Safe to say, I managed my body from the outside in. Then about 6 years ago I was diagnosed with hypothyroidism and was told by the doctor that diagnosed me that this happens a lot with women and especially women my age. She told me that I would take medicine and that would be that. To this day, I remember leaving the office and thinking, “Wait, so that’s it?” I had no idea what caused it, where it came from, or how to manage it beyond taking a pill for the rest of my life. That experience inspired me to learn more about what was happening in my body, and how I could positively and proactively manage the disease. I learned, experimented, evaluated and experimented some more. 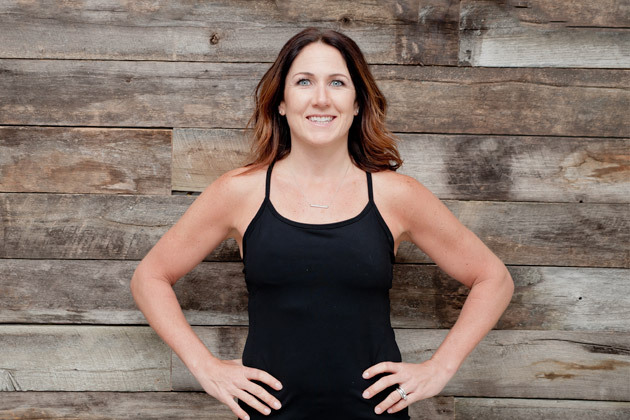 Simultaneously, I learned a lot about myself and started managing my body from inside out–putting in my body what it needed, giving it the rest that it required, and being mindful about the impacts that certain foods and lifestyle factors had on how I felt. It was a very powerful transformation for me and my goal in pursuing a health coaching certificate is to empower others to experience the same. What exactly is a health coach and what is it like to work with one? I like to say that a health coach cuts through all of the clutter out there and creates space for clients to take action allowing them to live their healthiest life. A health coach guides you to make food and lifestyle changes while helping you navigate through life’s everyday challenges. Throughout the year long health coaching certification program I participated in, I learned about hundreds of different nutritional theories, but the focus of the curriculum was on recognizing the importance of bio-individuality, meaning there is no one size fits all and each person has their own unique nutritional needs. If you could pick a few recommendations that you feel most people could benefit from, what would they be? Hydrate (with water!). Sleep. Eat real food, not products. Move. Laugh. Love. In no particular order. What phrase or quote best epitomizes your approach? Mind over matter. I say it in class when I am teaching all the time but it really has meaning far beyond just the studio. It’s all about using willpower to overcome physical challenges or limitations. It’s amazing what can happen when you you stop listening to that little voice inside your head that keeps telling you that you aren’t strong enough, you aren’t good enough, you aren’t thin enough, or you just aren’t enough. When you shift your thoughts to how powerful you are, how strong you are, how capable you are, and believe you are enough, you can do some incredible things.